The mobile commerce revolution is fully underway, as eMarketer estimates that mCommerce revenue will grow 73.1% to $11.6 billion by the end of 2012. Online retailers without an iPhone or iPad optimized experience are already behind - with over 115 million smartphone owners and 70 million tablet users in the U.S., 21st century consumers are flocking in droves to mobile devices. Many consumers are also gravitating towards the larger screen of a tablet for mobile shopping according to Forrester. It is a must for brands to put their store in the hands of mobile shoppers, and to optimize each platform for increased sales and consumer engagement. Stand out in the crowded mobile marketplace with the following seven strategies for optimizing your eCommerce site for mobile. 1) Customize your online store for each mobile device. Your iPhone or iPad website should never be a resized version of your primary website. With touchscreen capabilities and smaller screens, your customers are not interacting with their mobile devices in the same way that they utilize a desktop computer. Also remember that not all tablets or smartphones are made the same – at 9.7” diagonal, the iPad display is slightly larger than Amazon’s Kindle Fire (7”). Find out which devices your customers are using and customize accordingly. 2) Let form follow function. Put your mobile store in the hands of your customers to test user functionality before launch. High-end outdoor gear retailer Backcountry.com replicated their website’s three navigation columns in their tablet app, but later found that most users held their tablets with two hands and could not reach the middle column with their thumbs. Backcountry.com quickly changed the app’s navigation and moved all functionality towards both ends of the display. 3) Focus on visual content. 5) Tap into the power of user engagement. Web-only wine retailer Wine.com received poor reviews for the first version of its iPad app, from customers lamenting that the app was “just a store.” Wine.com transformed their tablet app into an experience with the look and feel of a coffee table book. The homepage carousel allows customers to spin through wine labels, while an interactive map invokes a sense of place with product search by country, region, and winery. The results? Wine.com’s mobile revenue increased 57% with the second version of the tablet app, which has been downloaded 200,000 times and accounts for 10% of total sales. 6) Remember that mobile phones are a social device. 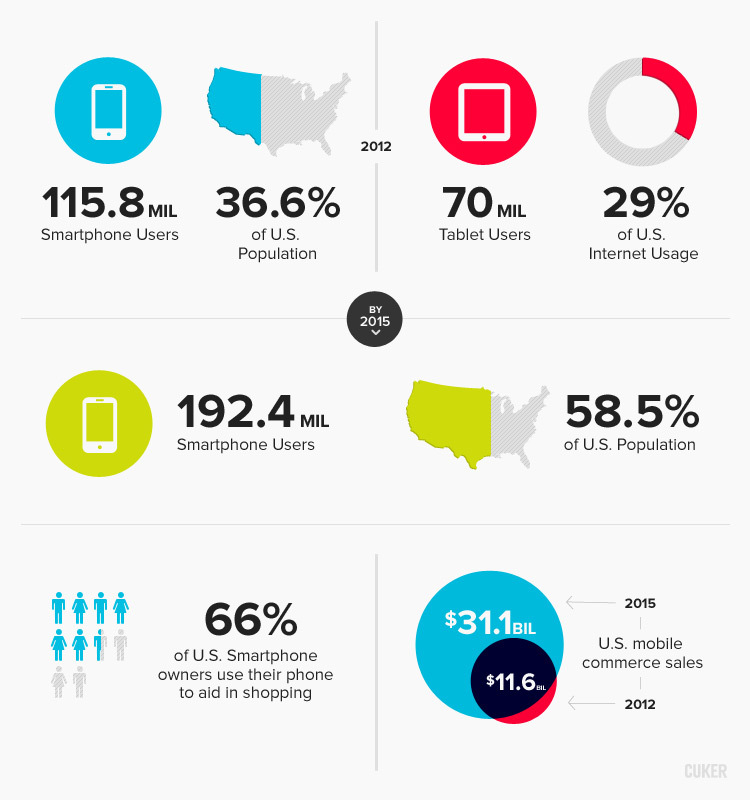 Mobile devices, especially smartphones, are primarily a social device for consumers to connect with family and friends. Make it easy and intuitive for consumers to post product reviews and to share your products via Facebook, Twitter, Pinterest, through visible, one-touch buttons. 7) Finally, ensure speed and stability. Your customers’ attention span on mobile devices is much shorter – don’t lose them with an app or mobile site that often crashes or is slow to load. Be mindful of your app or mobile site’s bugs and technical shortcomings, and continually update the software with new, better versions. Published on July 10, 2012 .